Around this time of year, we start thinking about the endings and beginnings. Some call them resolutions, some call them goals or plans, I like to think of them as opportunities. As the year winds down the door close on this year's opportunities and opens on those of a New Year. For me, as an author, one of those opportunities is the launch of Phoenix Fiction Authors. What is that? Well, a group of authors has banded together to help support and celebrate each other. And we need it! Writing can be a lonely career and it can be easy to forget, as you stare at the screen in front of you, that it takes a team to get a book out there. For me, and I think I am speaking for everyone at PFW when I say this as well, the most important part of that team is you, the reader. We may draw the outline of the worlds in our books, but you paint in the vibrant tones and intricate detail with your imaginations. Reading is a partnership between the writer and the reader. The writer hands off their precious work to you, the reader, and if they've done their work well, the book then becomes yours. Yours to breath life into. Yours to nurture or reject. Yours to complete. That is why PFW should be exciting for you. 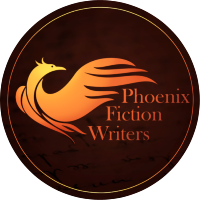 We, the writers of Phoenix Fiction Writers, are here for you! What can you expect from us? Well, head over to the website and you will find all the information you could need or want about the authors and their works. We are a diverse group of authors, but we all agree on one thing: fiction should mean something. So when you look through these books, you can expect the same thing you do from me: exploration. An adventure to discover a million new and wonderful things on the way. There is more coming too: a blog, a newsletter, and few surprises that I don't want to expose too early. What good is fiction without a good helping of suspense, right? And there is also a bit of a gift for you. If you sign up for the newsletter before December the 24 (Christmas Eve, ya'll), you will have a chance to win one published work by any of the authors in Phoenix Fiction. I'm going to be the one writing the newsletter too, so I hope to see you over there. So, what are you waiting for! Check it out now!